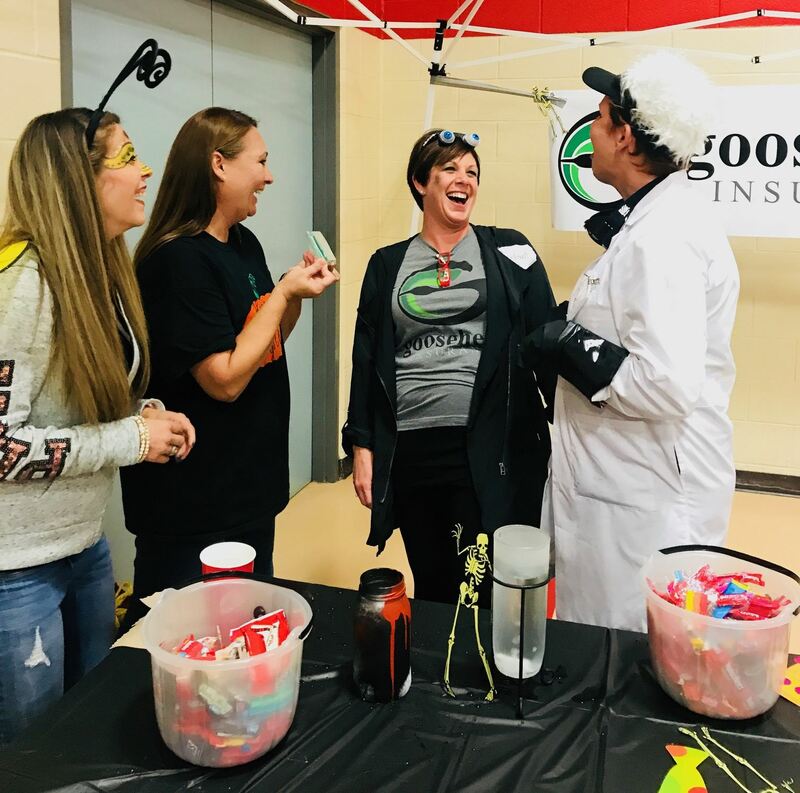 The 4th Annual Spooktacular presented by Incommons Bank and the City of Hewitt will be on Halloween from 6:00 to 8:00 p.m. at Midway High School! This FREE event includes trick or treating, games, costume contests, prizes & more! A portion of the event proceeds will go toward Hewitt First United Methodist Church’s Hallelujah Food Pantry. PLEASE NOTE THAT THE SPOOKTACULAR HAS BEEN MOVED FROM WARREN PARK TO MIDWAY HIGH SCHOOL’S CAFETERIA DUE TO RECENT RAINS. What are the rules and prizes for the costume contest? The costume contest will have three age categories: 0-3, 4-7 and 8-12. 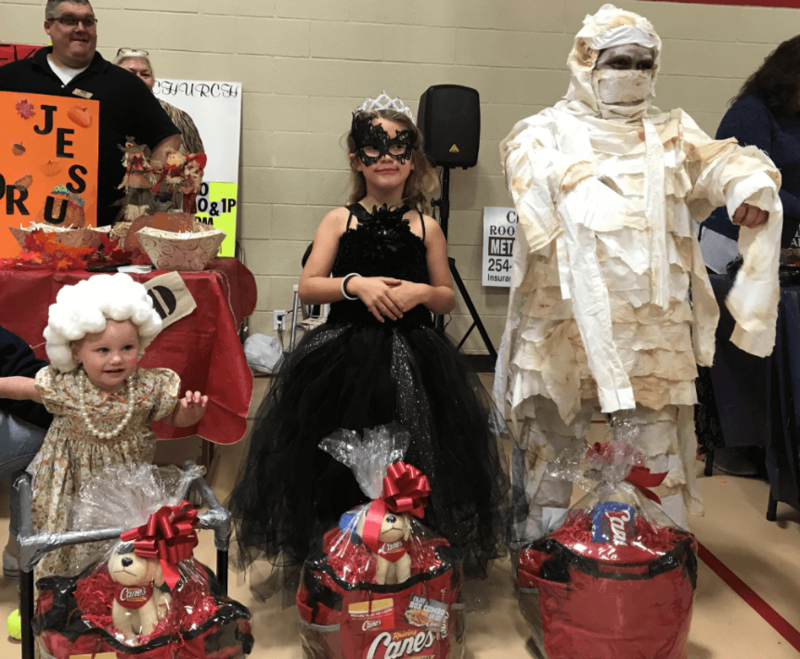 The contest starts at 7:00 p.m., and winners are selected by a panel of judges (the panel typically includes representatives from Hewitt’s City Council, the City of Hewitt and the Greater Hewitt Chamber). Prizes of goodie bags and a trophy are awarded to the first-place winner in each age group. All participants will receive a certificate for a kids meal at Raising Cane’s in Hewitt while supplies last. Will food be available for sale? Yes, we will have food trucks at the event, and the trucks typically accept both cash and credit. Food trucks for the 2018 event are to be announced. 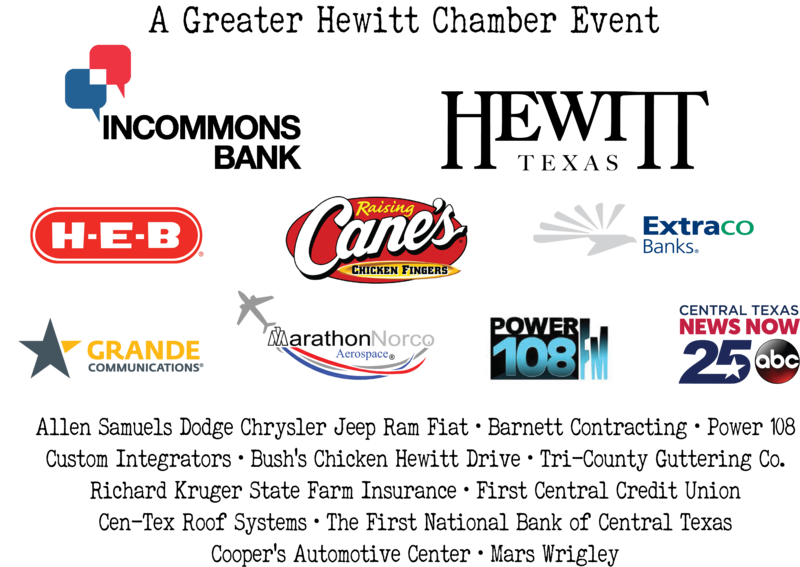 In the past, Pokey O’s, Dave’s Burger Barn and Raising Cane’s have been onsite. The Spooktacular will be moved from Warren Park to Midway High School cafeteria if there is bad weather in the forecast. The decision will be made 24 hours before the event, and we will post updates on this website and on our social media platforms (Facebook, Twitter and Instagram). Vendor space is FREE for Greater Hewitt Chamber Members and $30 for non-members. No selling, candy required, children’s games and promo items welcome. Vendors must provide their own tables, chairs & electricity, if needed. Tents are welcome. Set-up begins at 4:30 p.m., and tear down is no earlier than 8:00 p.m. All vendors must have booth set up no later than 5:40 p.m. with vehicles parked in general parking. Award will be presented to the best-decorated booth, and a photo of the booth will be printed in the January 2019 issue of the Hewitt Express Magazine. Spooktacular begins! Enjoy food trucks, games, bounce houses and trick-or-treating from 6:00 to 8:00 p.m.
Hewitt First United Methodist Church’s Hallelujah Food Pantry (located at 600 First St. in Hewitt) is open the 2nd Wednesday of each month from 5:00 to 6:30 p.m. for anyone with a need for items. All are welcome, and there are no restrictions. If you’d like to donate items, please see the list of items most needed below. Donations are accepted at the church Monday through Thursday from 9:00 a.m. to 2:00 p.m. The Creekside Spooktacular will be advertised on HewittChamber.com, Hewitt Express Magazine, Waco & the Heart of Texas, Digital billboard (Hewitt Drive), KXXV, Grande Communications, Power 108, Facebook and Instagram.